Airstream invites the community to join them in celebrating the newest collaboration with Tommy Bahama® as they showcase the Special Edition Travel Trailer and Touring Coach. Celebrating an appreciation for luxury, adventure and exploration, Airstream has partnered withTommy Bahama® to create a custom-designed travel trailer and touring couch which will be showcased Sunday, March 12, 10:00am-4:00pm at Tommy Bahama® Corona Del Mar Plaza – 854 Avocado Avenue, Newport Beach, CA. The afternoon will showcase the Tommy Bahama® Airstream Special Edition Travel Trailer and Interstate Touring Coach and is co-hosted by the Airstream Southern California Dealerships: Airstream Los Angeles, Airstream Orange County, and Airstream Inland Empire. Complimentary mocktails and giveaways will be available for all attendees. The Travel Trailer and Touring Coach will be available for all to tour to see up close and get a glimpse into the possibilities of freedom and relaxation. 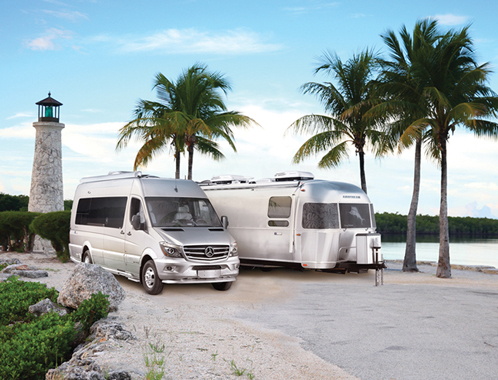 Each of these special edition Tommy Bahama® Airstream Travel Trailers and Interstate Coaches include features that enhance the outdoor adventure experience. From the warm wood tones to the built-in bar, it’s all designed to bring easy, beach living everywhere you go. Roomy living spaces designed with an island-inspired aesthetic incorporate signature Tommy Bahama® print designs used on the separation wall and bathroom walls, custom fabric in the seating area and a built-in bar fitted to hold Tommy Bahama double old-fashioned and stemless wine glasses. For comfort and ease, the trailer’s rear sport hatch provides expansive panoramic views and trouble-free loading/unloading of oversized equipment such as surfboards or golf clubs. For more information on the collaboration and event, please log onto http://www.airstreamsocal.com or http://www.tommybahama.com.